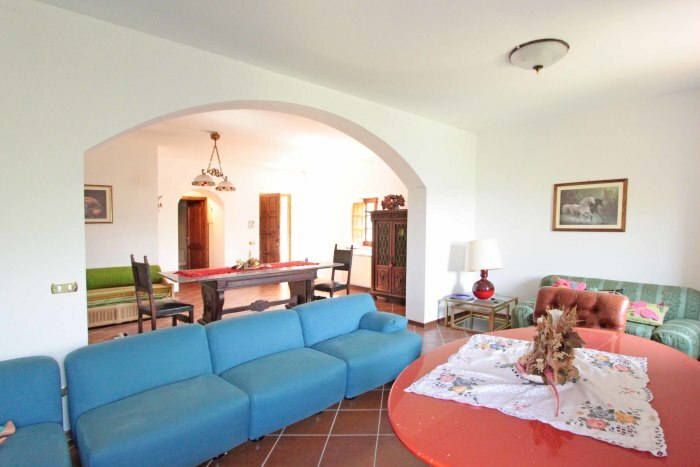 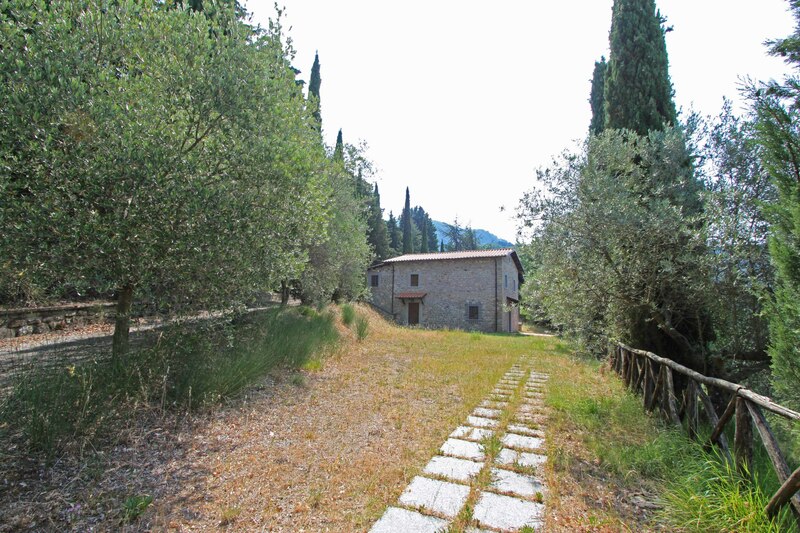 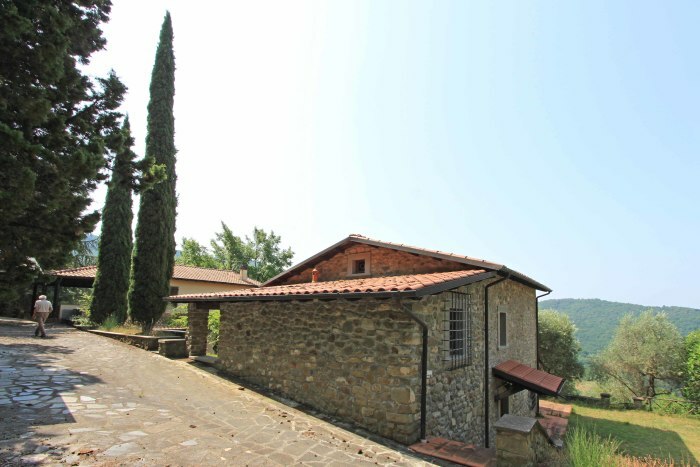 PODERE DI MAGGIO • Character property consisting of two restored detached habitation units with approximately 1400 sqm land and fabulous valley views. 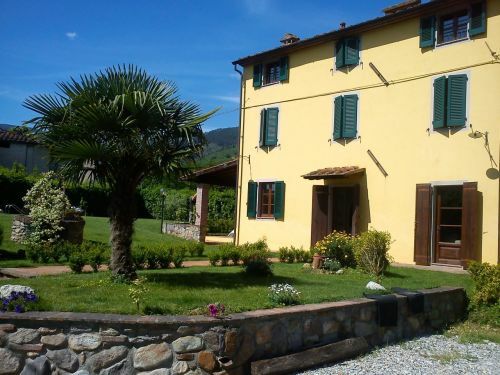 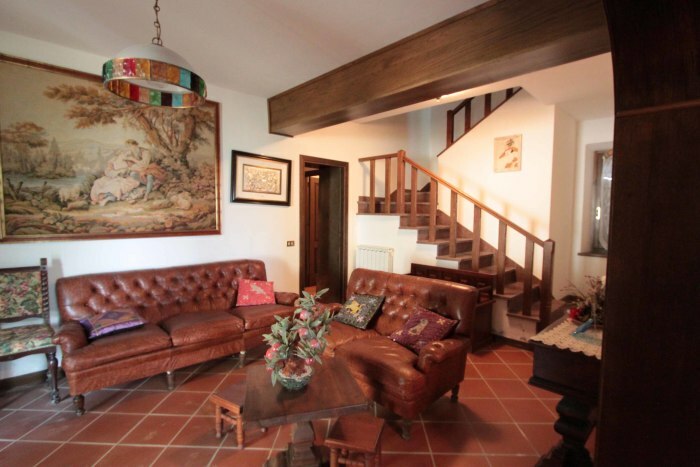 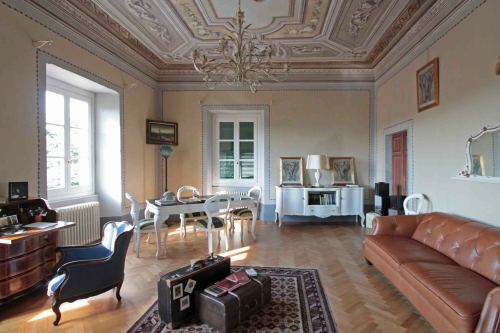 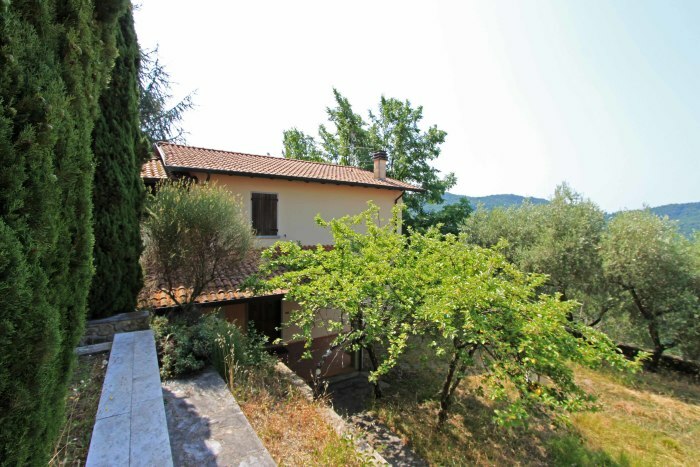 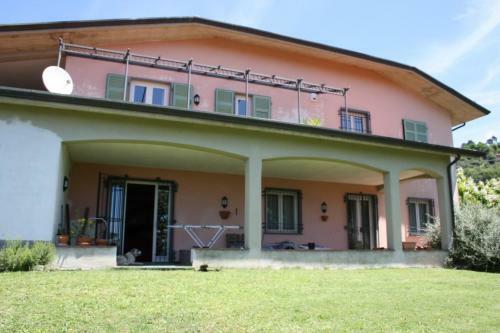 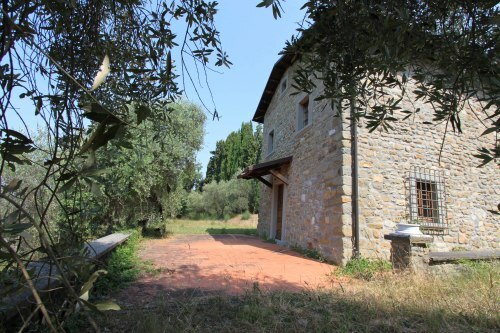 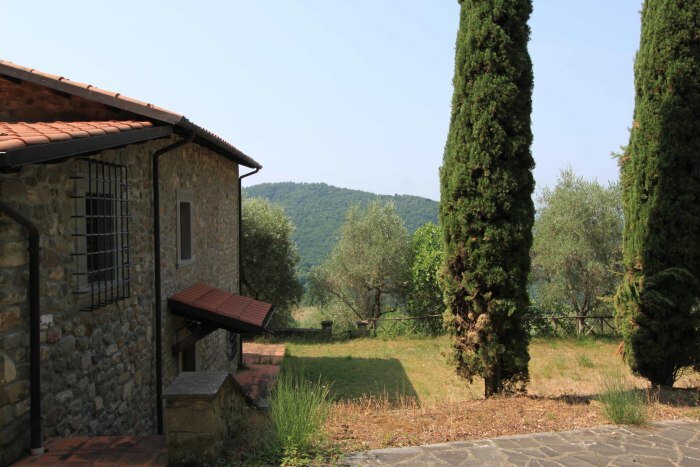 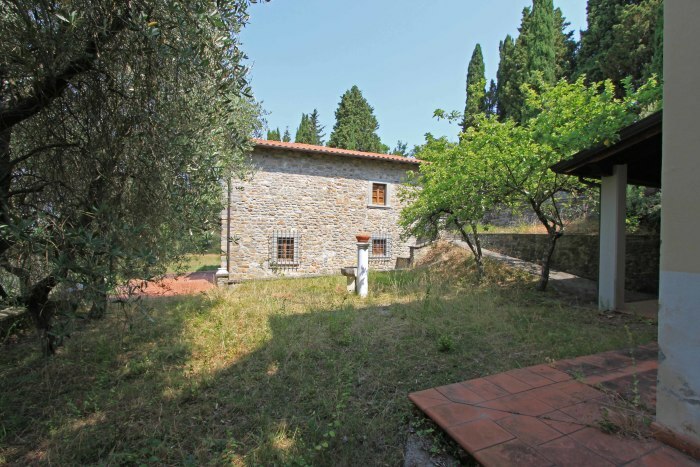 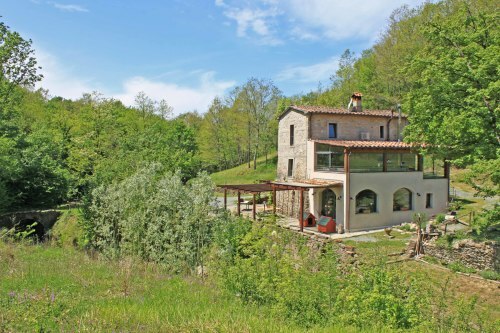 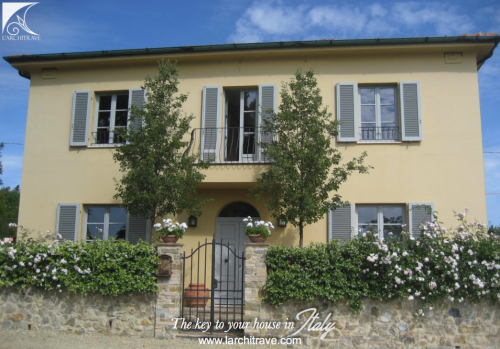 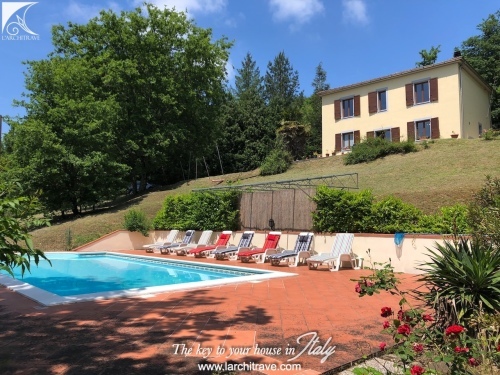 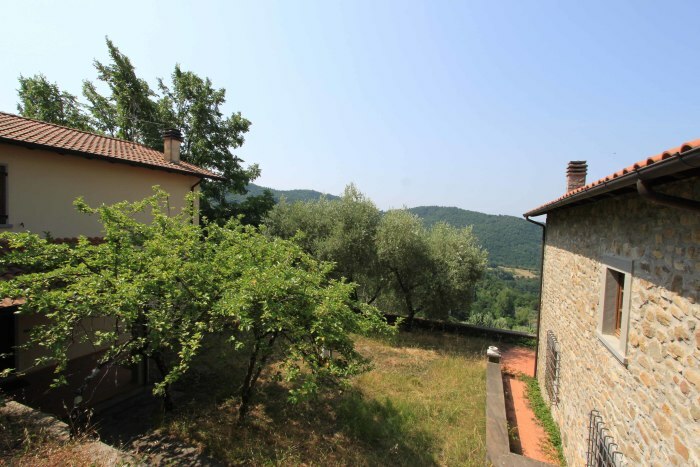 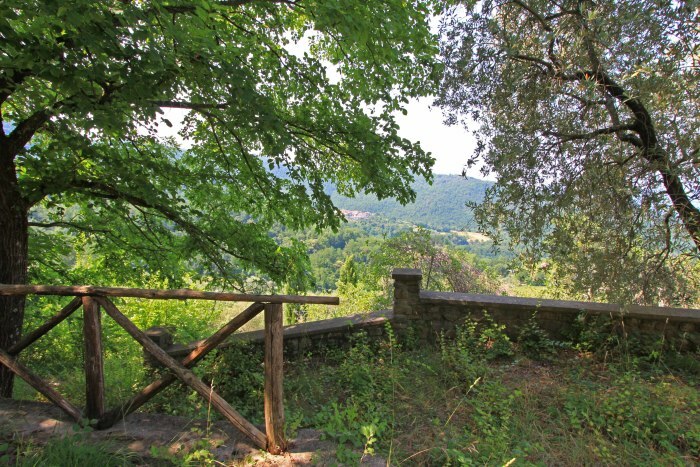 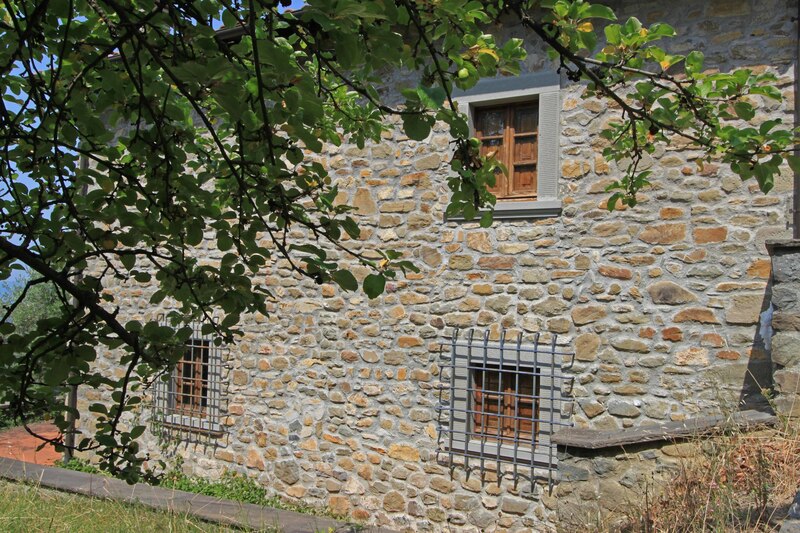 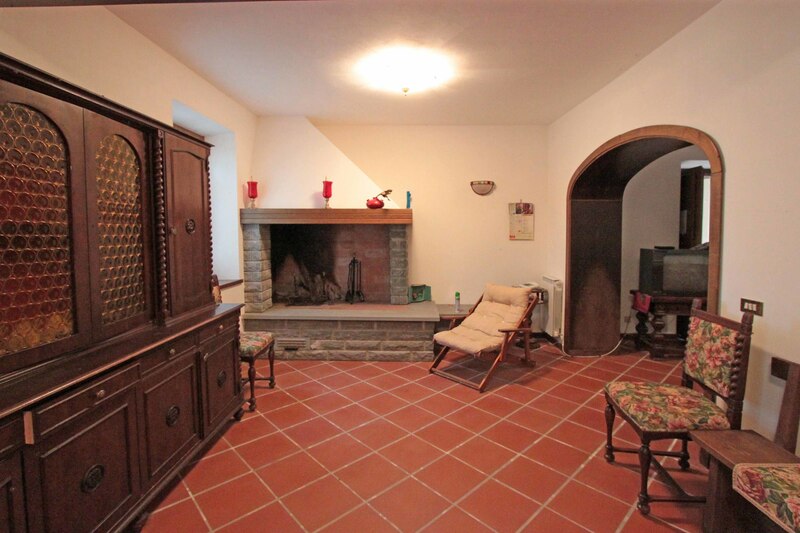 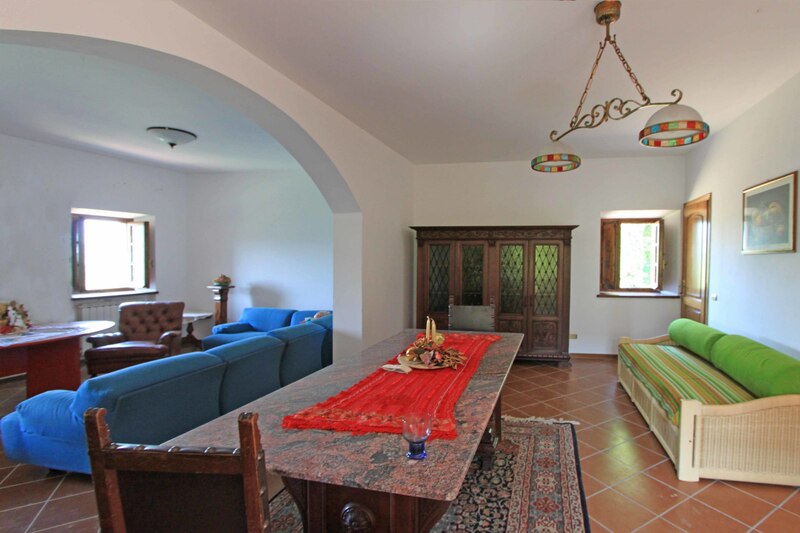 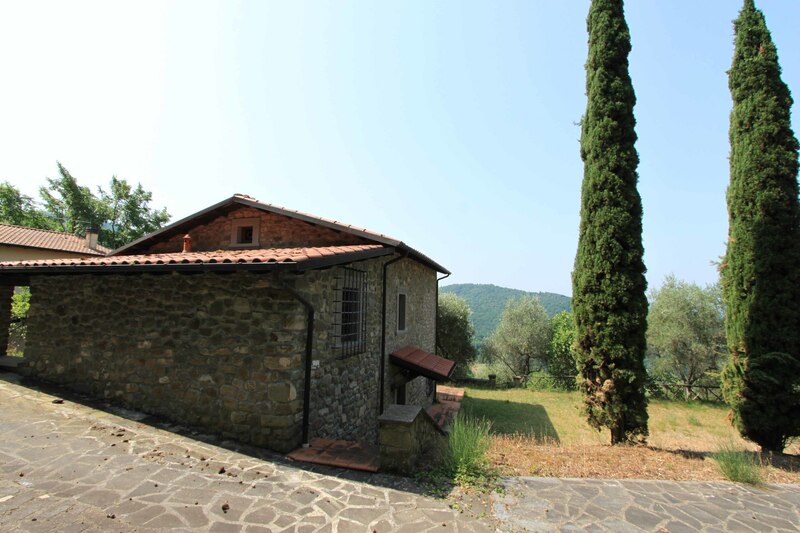 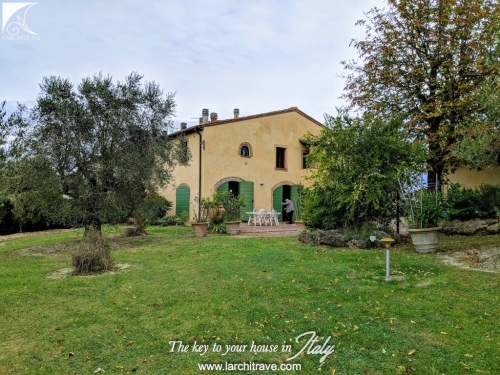 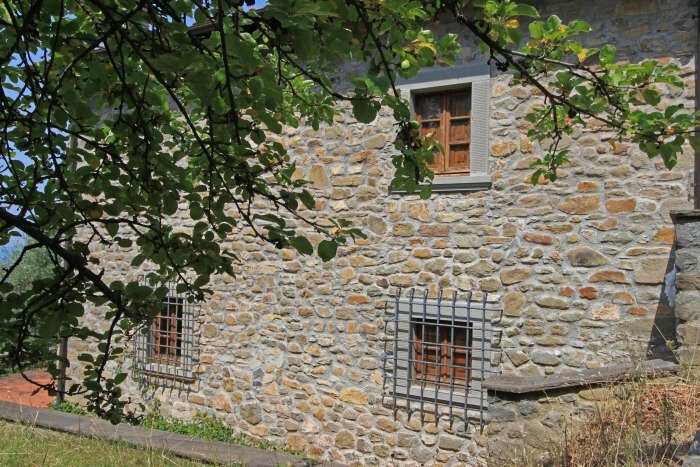 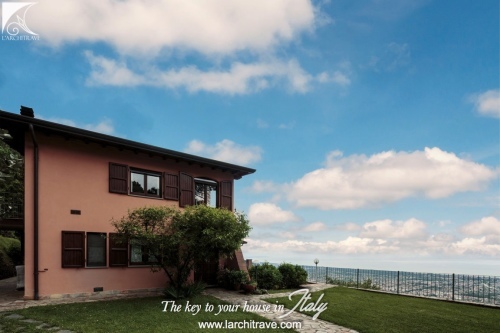 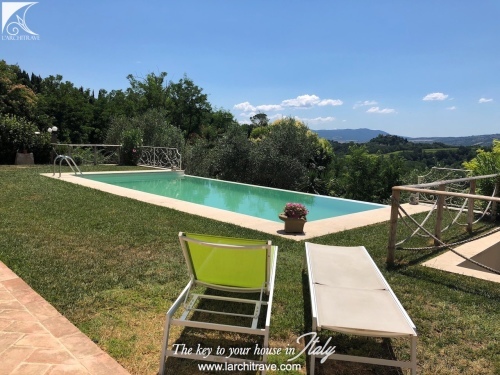 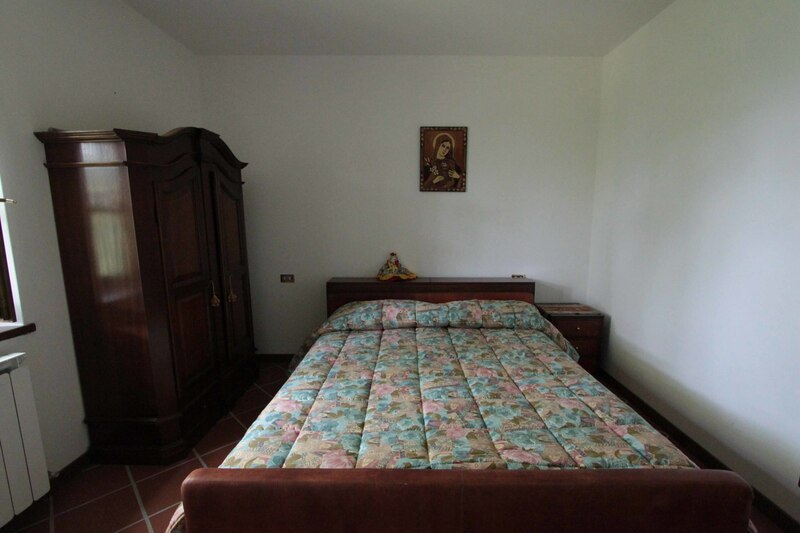 PODERE DI MAGGIO • Situated on the hills above Fivizzano, in a private but panoramic position, the property is made up of two restored detached habitation units with land of approximately 1400 sqm. 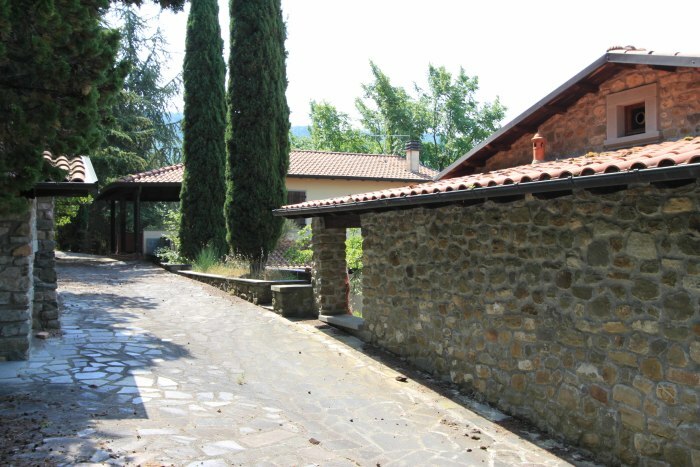 Possibility of swimming pool subject to planning permission. 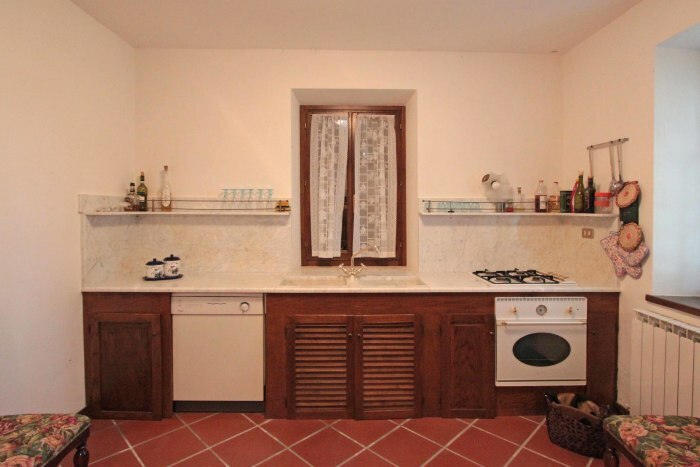 Unit 1: Kitchen with fireplace, living-room, cupboard and bathroom on the ground floor, and upstairs 2 bedrooms and bathroom. 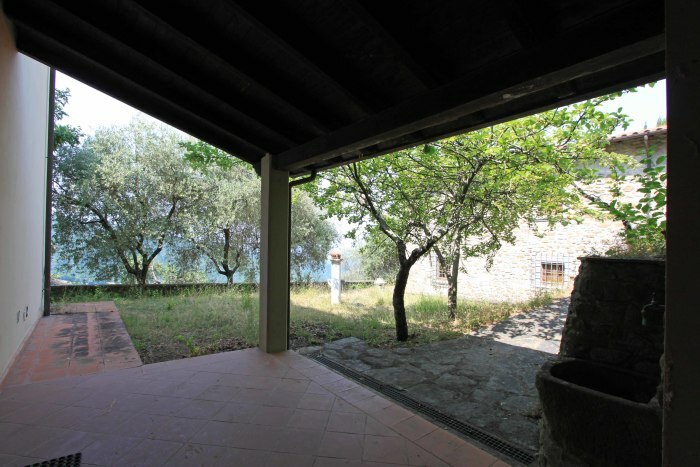 Both levels have access to the outside via the covered terrace which leads to their respective patios and from there to the garden. 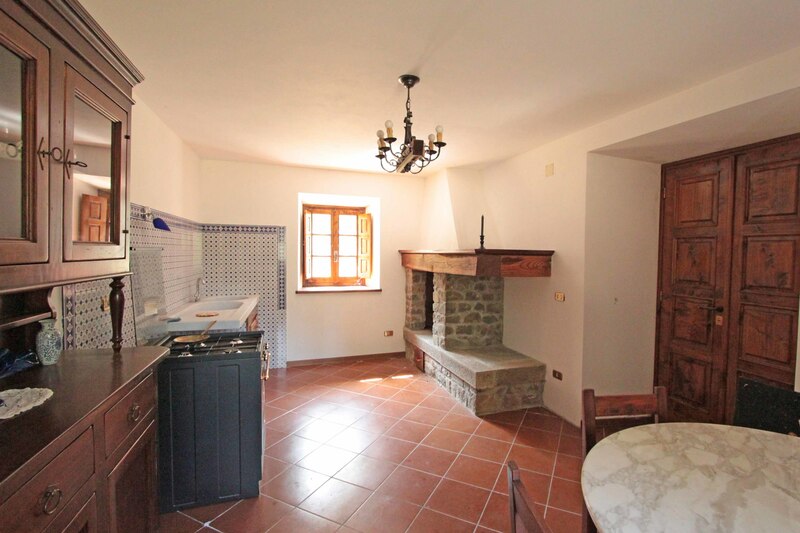 Unit 2: Kitchen with fireplace, dining-room and cantina on the ground floor, and upstairs, large living-room, bathroom and bedroom. Possibility of creating a further bedroom. Outside the private patio includes a wood-burning pizza oven and a pergola. 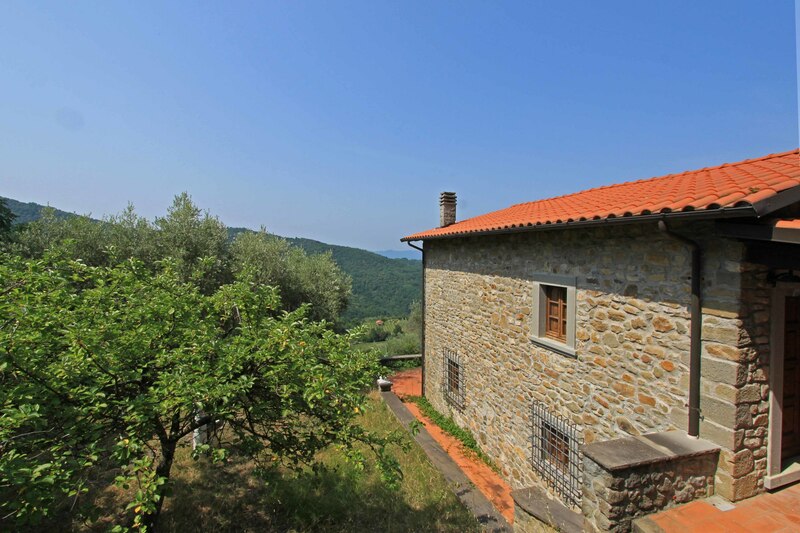 The property is connected to utilities - mains water, mains electricity and gas. 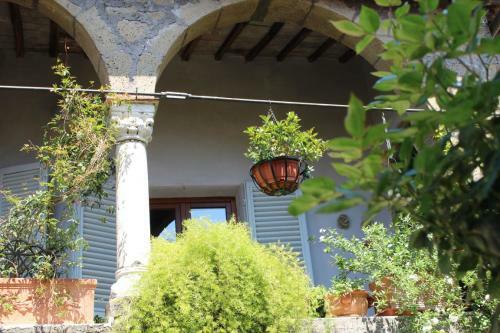 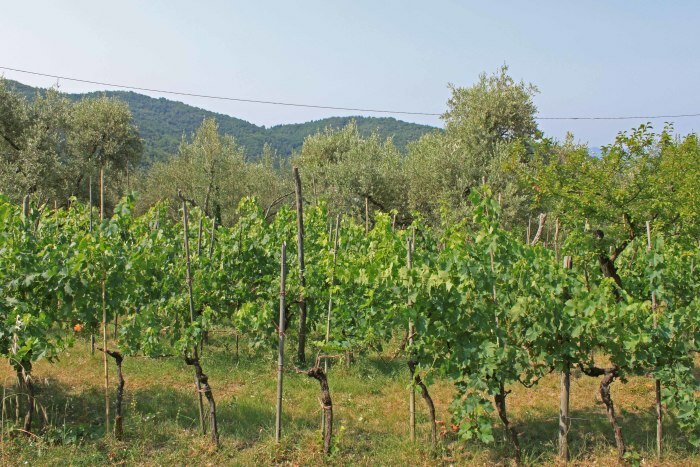 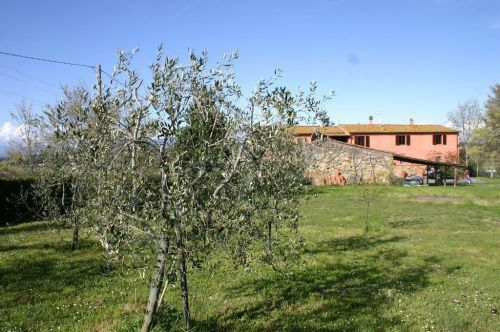 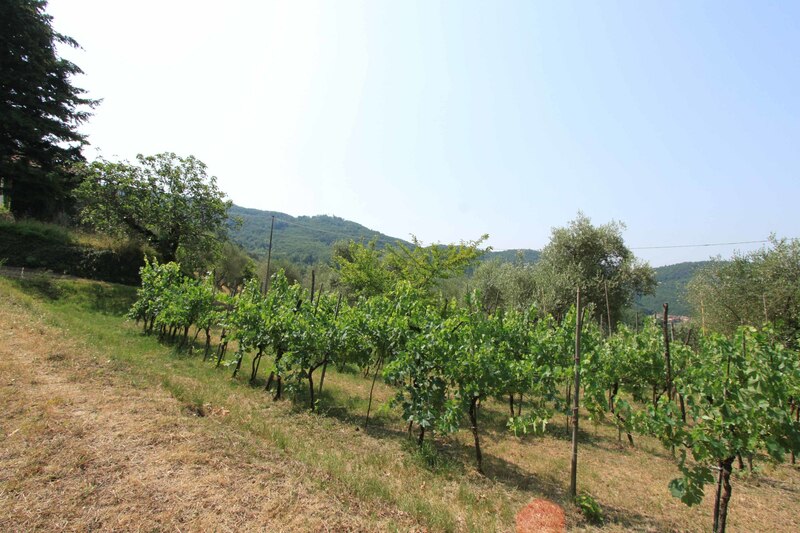 Access to the property is through a gated driveway, lined by cipress trees which winds through beautiful land planted with vines and olive trees. 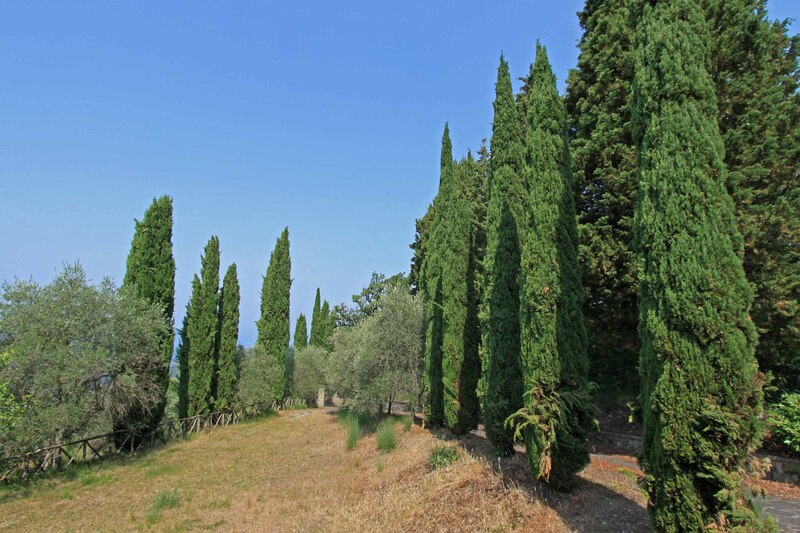 The cipress trees along the driveway to the property give it a typical Tuscan feel. 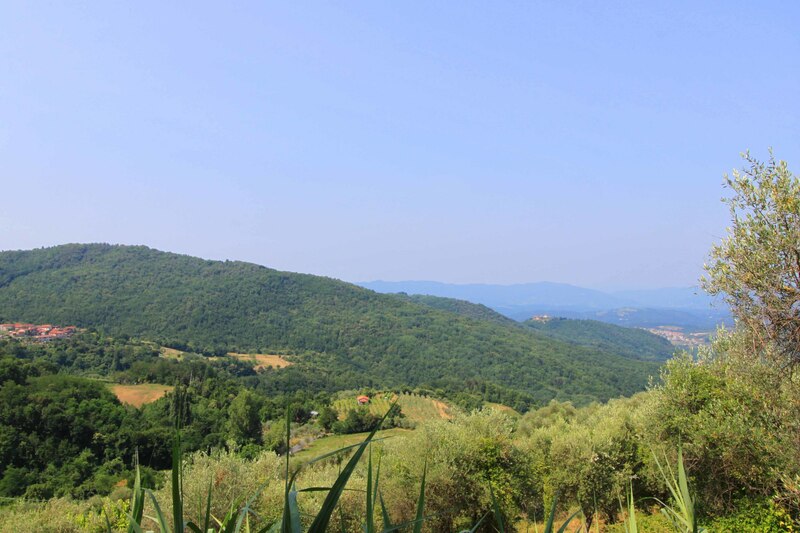 The breathtaking panoramic view of the hills and valley can be seen from most of the windows of both houses and the outside areas. 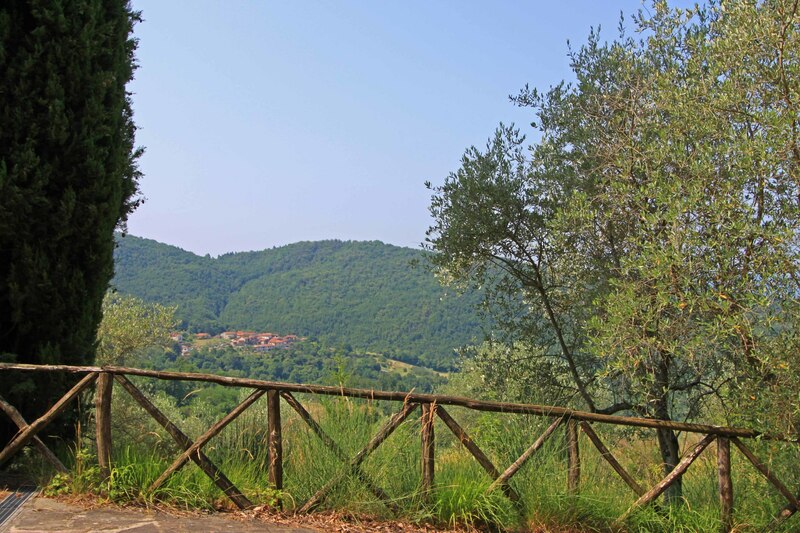 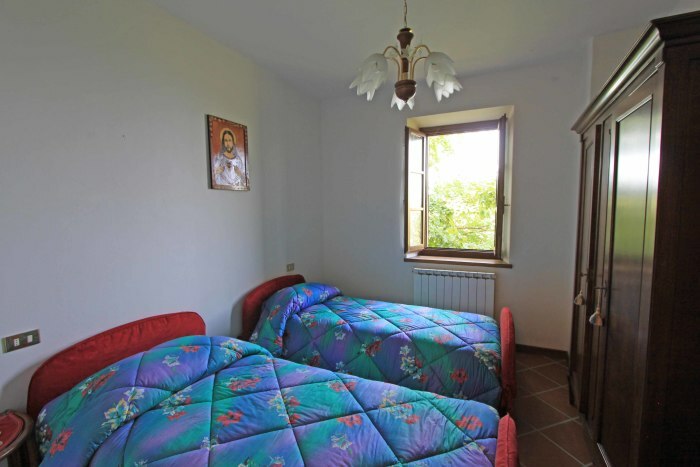 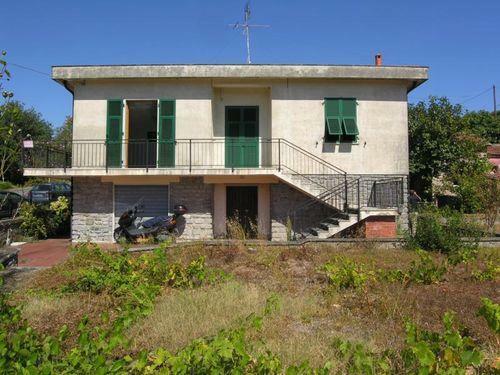 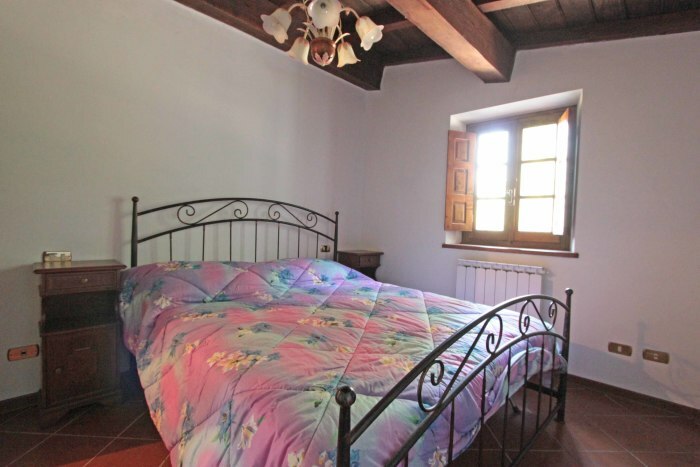 Distances: Fivizzano 2 km, Aulla 20 km, ski resort 20 km, beaches 40 km, Pisa airport 100 km.